For BEI clients only, this process will reset eAutomate's callback criteria to match BEI's callback criteria so that eAutomate is flagging callbacks with the same logic as BEI. It will update the eAutomate days/clicks callback for each model. (Most BEI dealers already have models in eAuto matching BEI models. If you don't, its OK as the spreadsheet allows for you to point to your specific model.) It will only update when you manually download the spreadsheet and import, our task runs every 15 minutes and if it sees new data has been imported it will process it. VariableY: If you are using this process to update the model callback parameters from the BEI published values but you have a matching model set in eautomate to 'Use System CallBack parameters', then this update will not affect that model. If you want this process to turn off that check box so that the uploaded callback values will take effect, set this variable value to 'YES'. 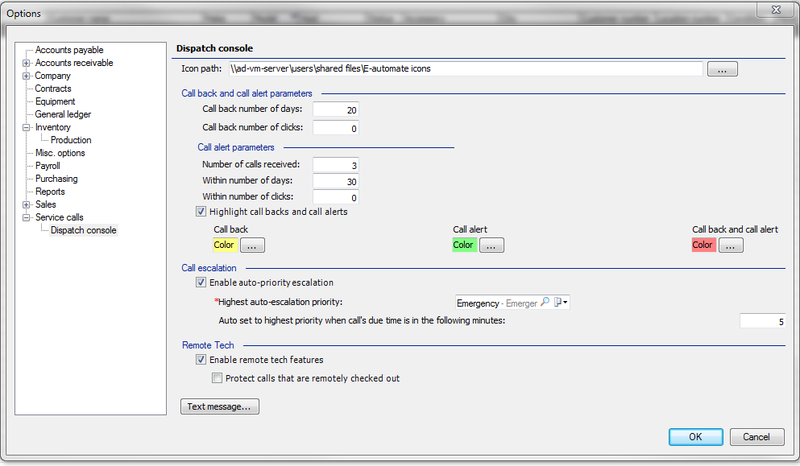 **It will NOT reset any callback flags on any service calls already closed in eAutomate. Once subscribed to our alert then the first step is to download YOUR BEI data as clients may want to tweak it before importing. Save the results as a CSV file for import into Excel. Now go to the very bottom of this page and look for the attachment section and download our spreadsheet. Open our Ceojuice_BEI_ModelMapping_Revxxx.x.xlsm spreadsheet and make sure you are on the 'Settings' tab. In the Settings tab, enter in ‘CEOJuice’ in the Company DB Name, and your E-Automate SQL Server name under Server. Switch to the BEIModelMapping tab. Highlight and ‘copy’ all the rows of data from the BEI spreadsheet (from above) and paste the contents into our spreadsheet, starting in the 'Dealer Model' column. Now, press the 'Insert' button, at which point you will be prompted for a valid user login & password for SQL Server. You will be prompted for SQL user login (this is not a Windows domain user.) You may need to create an SQL user for this process. Datawriter access to the Ceojuice database is needed. After you enter your user login and password press ‘OK’ and if your login is valid for the SQL Server the spreadsheet will process the data into our CEOJuice DB Table. You should see 'Posted' in every row under the Status column. If nothing is showing as posted, you may need to enable active content on the spreadsheet. Click the Options button to bring up the Options Window. On the Options Window, check the radio button next to 'Enable this content', then click the OK button to accept. Now try to run the Insert again. If you still have issues, please let us know. Once the data is imported it will now be processed by ID633. This process runs daily by default, but can be run on whatever schedule you specified - hourly, twice daily, etc. Let us know at help@ceojuice.com if you wish to change the default schedule. By default, ID633 is also run in test mode. In test mode, the report you receive from ID633 will just list what would change, no changes are actually made to your callback details in eAutomate until you tell us to switch the alert to Live mode. 3. Customer dumps the data from step 2 into our spreadsheet. 4. Customer updates data connection on our spreadsheet and clicks button to import into a temporary table in the CEOJuice database. Any models not matched to eAuto Model Number will show error on import spreadsheet. 5. Alert runs and sees that there is unprocessed records in the temporary table and it alerts the customer of the changes (or what would be changed). When in TEST mode, this is just an alert only. 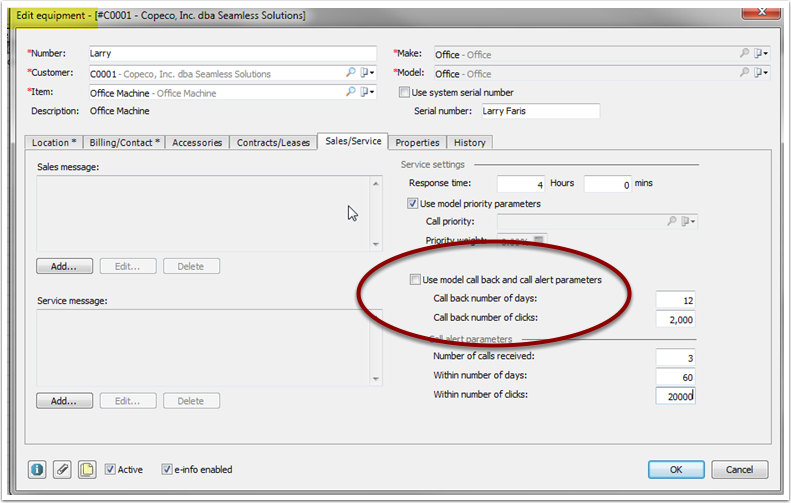 When in live mode, the alert will actually update the Models table in eAutomate with the new callback data. The very top section (as shown below) will be for rows in the BEI spreadsheet you've uploaded where cbclicks are 0. After that, there are normally a lot of records where the BEI dealer model from the spreadsheet does not match a model number in eAutomate. These are normally valid and represent models that are still in BEI, but no longer match the model number in your eAutomate database. Can be models no longer in eAuto or where the model number has changed. If you compare the model not associated in the alert to the BEI spreadsheet, you would normally find multiple entries in the spreadsheet for the BEI Model Number, one will most likely match a model in eAutomate, the other won't. 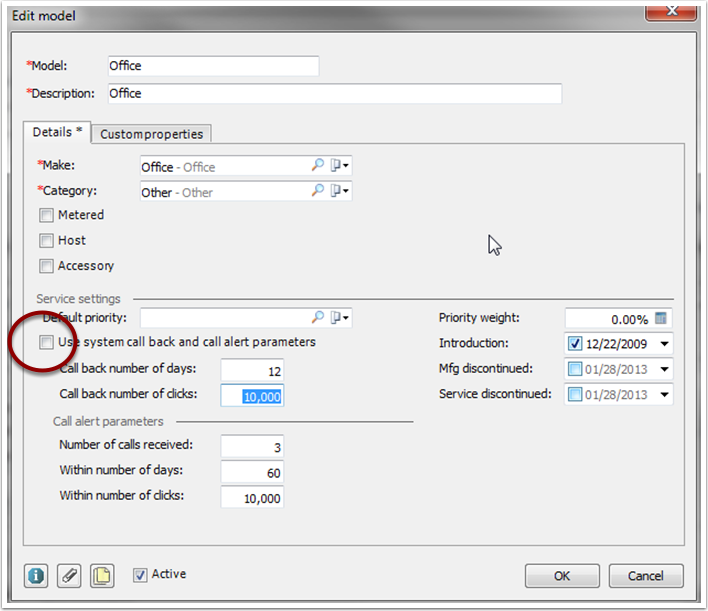 eAuto uses a simple logic for checking for Call Backs and Call Alerts and if you want eAuto to use BEI stats, then make sure your Model Record does not have check mark on 'System call back and call alert parameters'. NEVER… EVER have a zero in your system settings. If you have call back and call alert parameters set on the Equipment Record, those will override any settings at the Model or System level.